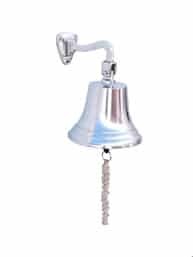 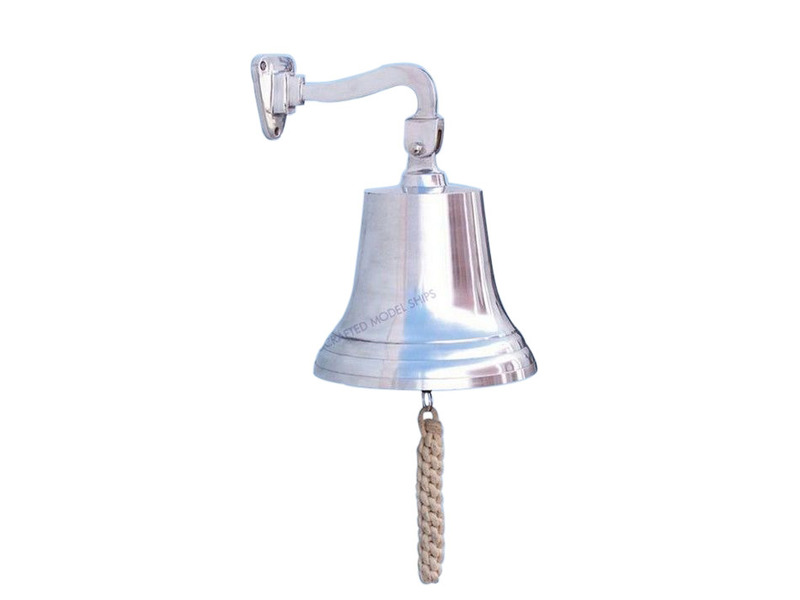 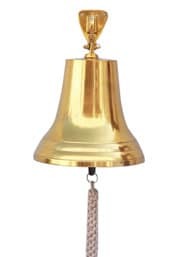 Chrome Hanging Ship's Bell 15"
Elegantly designed and gleaming with a lustrous shine, this fabulous Chrome Hanging Ship's Bell 15" is equally stunning indoors or out, and is fully functional for actual use aboard any ship. 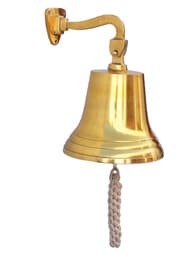 Enjoy its wonderfully decorative style and distinct, warm nautical tone with each and every resounding ring. Each bell's length is measured from the highest point of its hanger to the lower lip of the bell, while the width is the diameter of the flared bell opening.